check the competitions pricing and you’ll see our pricing is the best around! 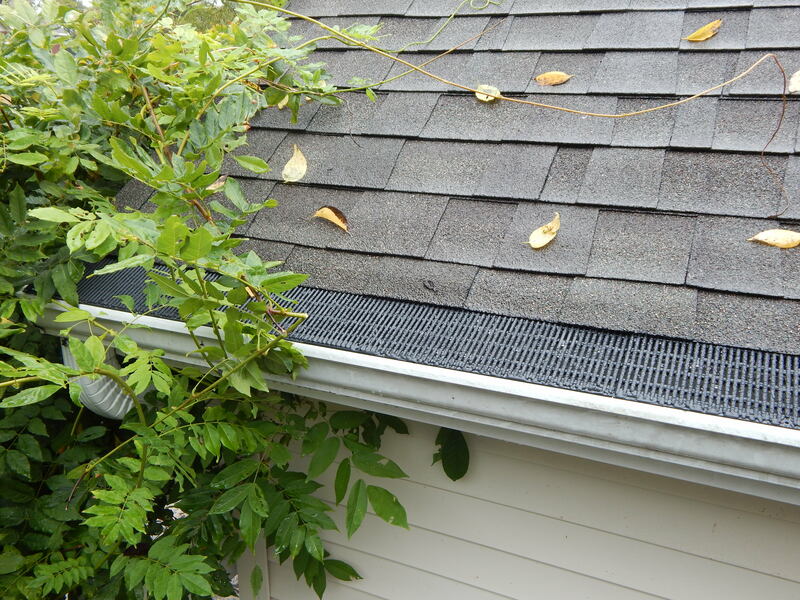 Many homeowners consider adding gutter guards to keep their seamless gutters clean. There many different companies and even more different products. We install two different types of gutter guards after years of looking at different products and comparing.We feel like we came up with the solution. There are many factors in choosing the correct gutter guard. Here are the top five that are most important. #1. 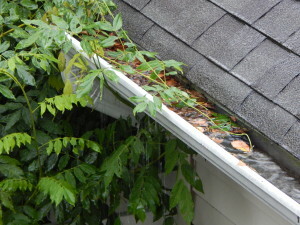 Type of trees around your home, What type of foliage are you going to be keeping out of your rain gutter system. #2. Pitch of the roof and the square footage of the roof to determine the amount of water that will need to be displaced. #3. What kind of material is it made from, and how durable is it. #4. How will the product perform years down the road. #5. last but not least, Cost. So we came up with what we feel are your two best options based on the factors we mentioned earlier. We can also install them on your exsisting gutters in most cases. 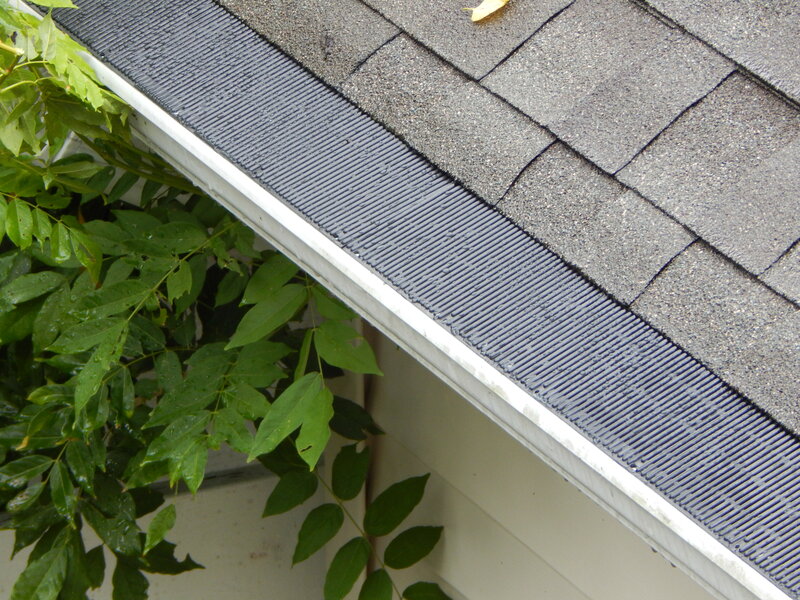 Seamless rain gutters collect the water from your roof while, the downspouts get the water away from your home. To insure proper drainage from the roof and away from the home, it’s imperative that they are fastened, pitched, clean, and functioning properly. 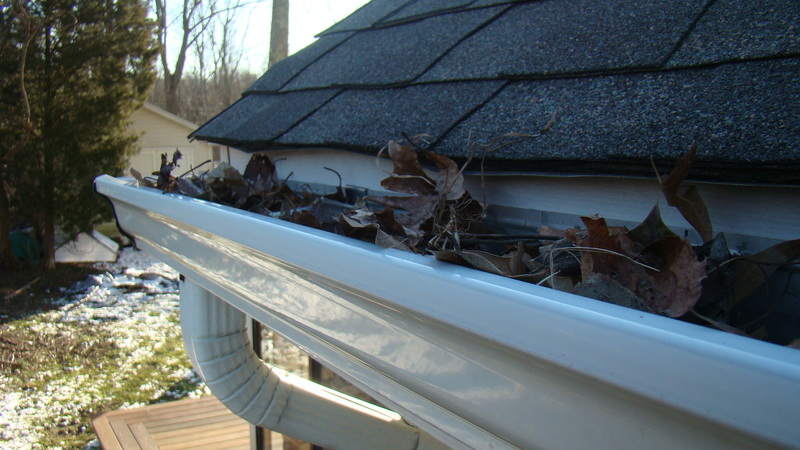 The easiest way to achieve that is maintenance, cleaning your gutters. Which we do if that is your choice, See our gutter cleaning page. 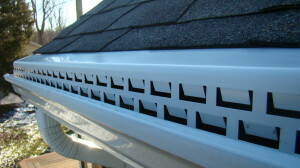 But for the home owner who doesn’t want the head ache or worry, gutter guards are the best choice. We can install them on your exsisting rain gutter system if it is in good working order which will save you money. The main difference is, One is a hood style gutter guard which works by water adhesion. The water adheres to the aluminum top and front and goes into the louvers on the front of the gutter guard. With nothing on the top to snag debri. For most home and business owners, gutters are a dirty subject especially when it comes time to clean them see our gutter cleaning page. Regular maintenance in the form of cleaning is important to prolonging the lifespan of your gutters, Adding gutter guards help with that. The single biggest issue with all gutter guard or gutter protection systems is installing them properly. Just like any project that is done at your home. 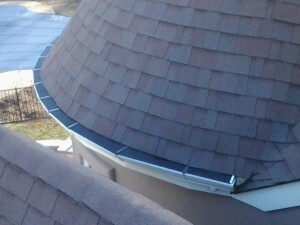 South Jersey gutters specializes in seamless gutters and gutter guards. 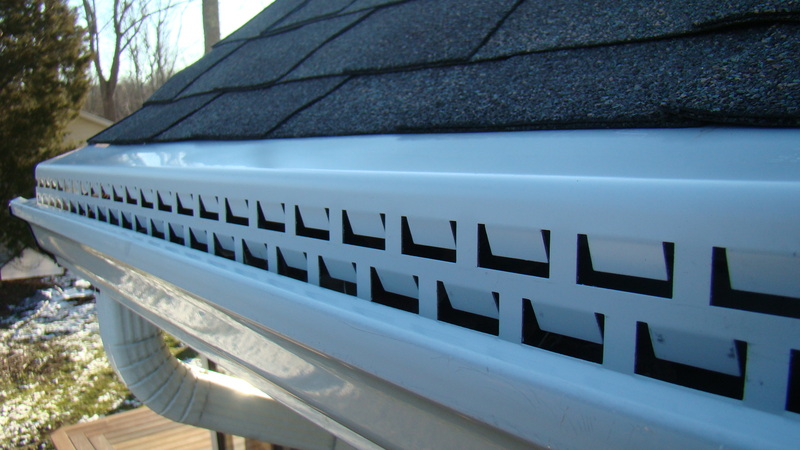 Gutter Guards get fastened to the top lip of the gutter requiring no screws, nails, or holes in your roof. Call today for our spring prices on our high profile gutter guards. Call today for our spring prices on our low profile gutter guards.